Something I've wanted to do and now I've done it! Don't think I'll be back though. As the first and only comprehensive hiking guide to all 130 miles of trails in these two national parks, this book features Carlsbad's improved above-ground hiking trail system as well as routes in the caverns and Guadalupe's wild backcountry. It also includes written trail descriptions, elevation charts, photos, and detailed topographic maps. 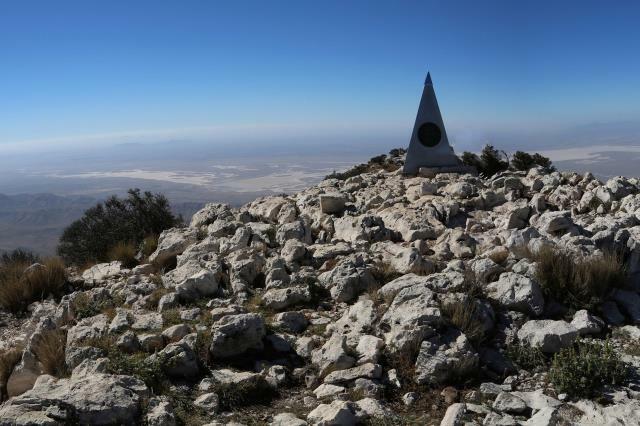 Hiking Carlsbad Caverns and Guadalupe Mountains National Park is packed with all the information you need to plan your next trip in these two uncrowded and remote national parks.